The Thomas Heatherwick-designed double-decker buses will no longer be produced for London, because they cost too much. The Routemaster buses – a major election pledge of previous mayor Boris Johnson – were designed by London-based Heatherwick as an update of one the city's most iconic old transport designs. New mayor Sadiq Khan first suggested his plan to discontinue the buses during his own election campaign, as a cost-saving measure to help pay for a four-year freeze on fares. The decision has now been confirmed in the Transport for London business plan for 2017. According to the report, no new Routemaster buses will be purchased for London, and the funds will instead go towards upgrading the city's existing fleet with the latest sustainable technologies. "New capital investment will be reduced significantly as we discontinue purchases of New Routemaster buses," reads the TfL business plan. "We will carry on investing in the fleet however, by retro-fitting 3,000 vehicles with Euro VI standard emission technology by 2020." Heatherwick Studio has not yet responded to Dezeen's request for comment on the decision. Called New Bus for London, Heatherwick's design was first unveiled in 2010, then introduced to the transport network in 2012 – seven years after the original Routemaster had been withdrawn, due to problems with disabled access. It incorporates two staircases and three doors, including a hop-on-hop-off platform at the back of the bus. The design was greeted with fanfare by Londoners, largely because it heralded the end of the unpopular "bendy buses". According to the Guardian, the first 600 buses purchased in 2012 by Johnson cost £354,000 each, while the next 200 bought in 2014 cost £325,000 each. The design later came under scrutiny when passengers started complaining about the high temperatures on board. But it emerged that Heatherwick had originally wanted to include natural ventilation – and TfL responded by adding opening windows. 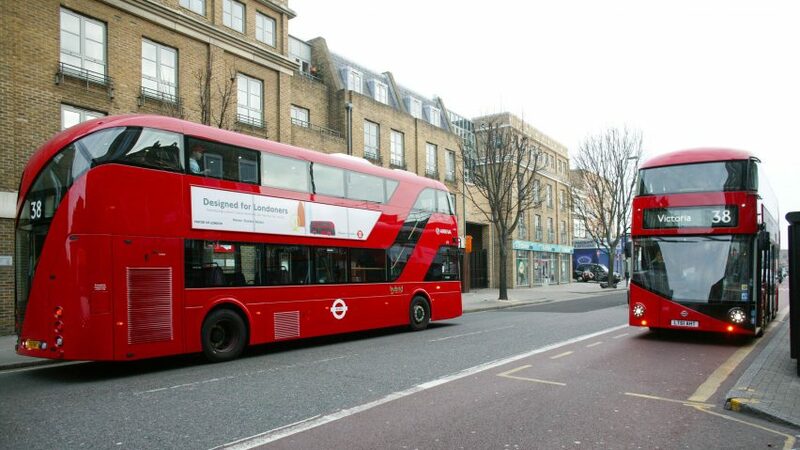 TfL has also recently purchased a new fleet of buses that take cues from Heatherwick's version – although the designer had nothing to do with them. Alexander Dennis' new Enviro400H City Bus was being rolled out on the 78 route at the end of last year.